Scranton General Liability Attorneys | Scanlon, Howley & Doherty, P.C. SCANLON HOWLEY & DOHERTY attorneys have extensive experience with a wide range of legal and business disputes, including personal injury, product liability, wrongful death, property damage, premises liability, business and commercial liability, and economic loss. Our clients rely on us to vigorously litigate on their behalf throughout the entire process, including discovery, deposition and trial. We represent small and mid-size businesses and homeowners in cases of general premises liability. It is essential to protect your property and defend against frivolous claims. As experienced product liability attorneys, SHD handles litigation for cases involving the manufacturing and distribution of products. We also represent retailers and distributors who can be held liable for alleged defective products. Our diligent investigation and comprehensive knowledge of product liability law ensures thorough investigation of all aspects of the product design and supply chain. Our team provides clients the best opportunities for successful legal outcomes. SHD represents a range of personal and catastrophic injury cases, including construction accidents, slip and fall accidents, wrongful death, toxic tort and complex personal injury accidents. 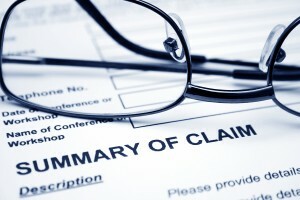 Personal injury accidents can happen at any time and in any location. It is our job at SHD to assume diligent representation of our clients by preparing a comprehensive litigation plan which to maximize the outcome for the client. We understand and recognize the necessity of early investigation and representation to providing the best possible level of success for the client. We are here to help throughout the litigation process and provide guidance to alleviate the stress and concern which accompanies litigation. SHD attorneys are skilled at representing and counseling businesses throughout the Commonwealth of Pennsylvania. We defend businesses through general liability claims, establish and implement corporate entities, develop and negotiate contracts. We also provide legal services for implementation of employee policies and procedures, employee disputes, and corporate development. Business owners must ensure to protect their corporations on multiple levels. Claims against a company by employees, outside vendors and contractors, or third parties can result in devastating consequences to the company. The attorneys at SHD are there to protect against these claims and assist in implementing preventive measures to ensure growth and development of the company.